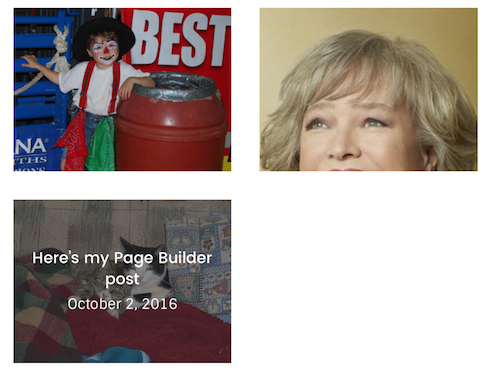 When you choose the Gallery layout style in the Posts module, by default there is no space between the featured images for each Post in the gallery, such as in the following screenshot. See the Related Article below for where to put the custom CSS code. Increasing to a 20-pixel margin separates the space between images as shown in the following screenshot. You can see that the increased margins can also lead to different break points in the rows.